This is a lightweight, water based shaping cream. 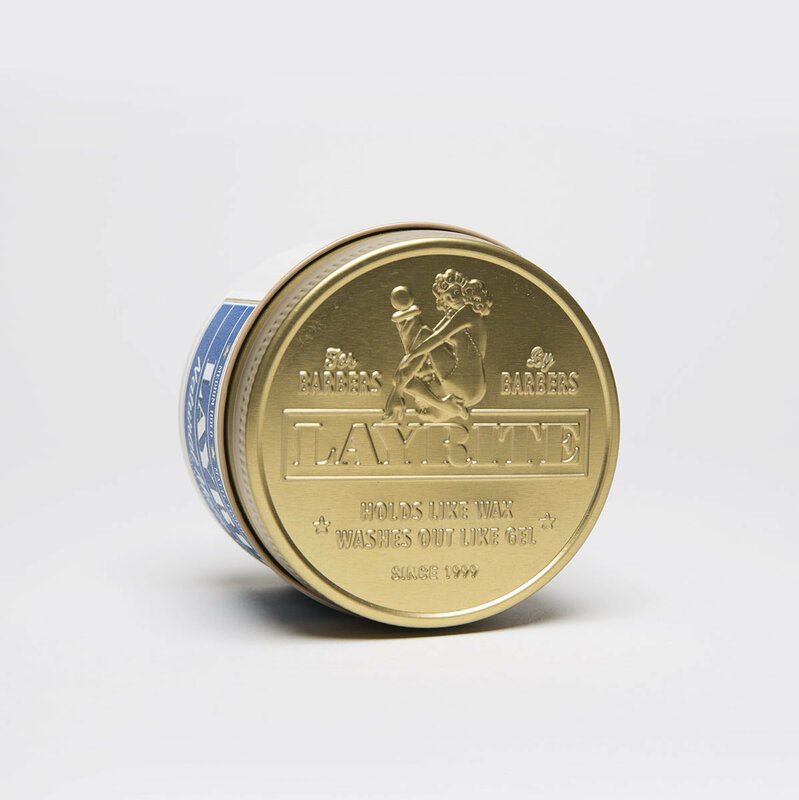 It’s very easy to apply and is perfect for those of you seeking a textured yet flexible all-day hold. It’s good for a whole range of styles from easy and laid-back to more defined. The subtle hints of our mild vanilla signature scent throughout the day will remind you of how put together you look, even without a mirror. Medium Hold, Matte Finish, Water Soluble! Kaolin Clay + Waxes Naturally-Derived from Brazilian Palm Tree Leaves and Coal provide a natural structured finish. 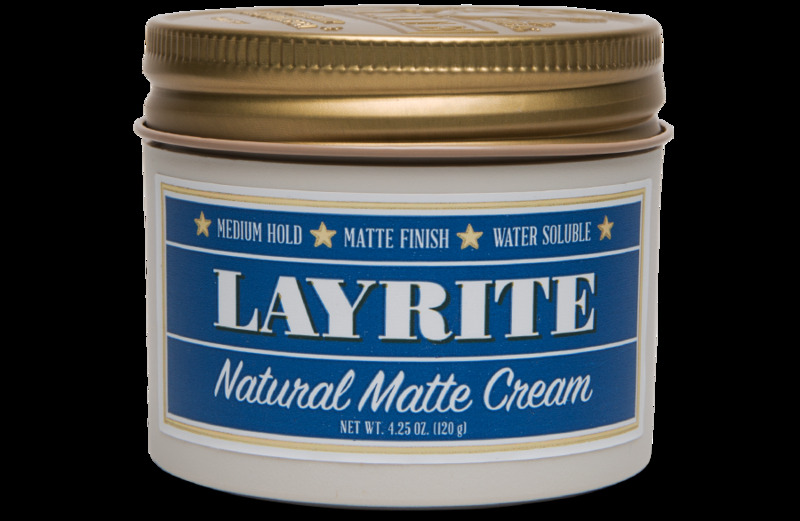 For a softer, pliable and more easy going natural look, apply Layrite Natural Matte in wet hair. 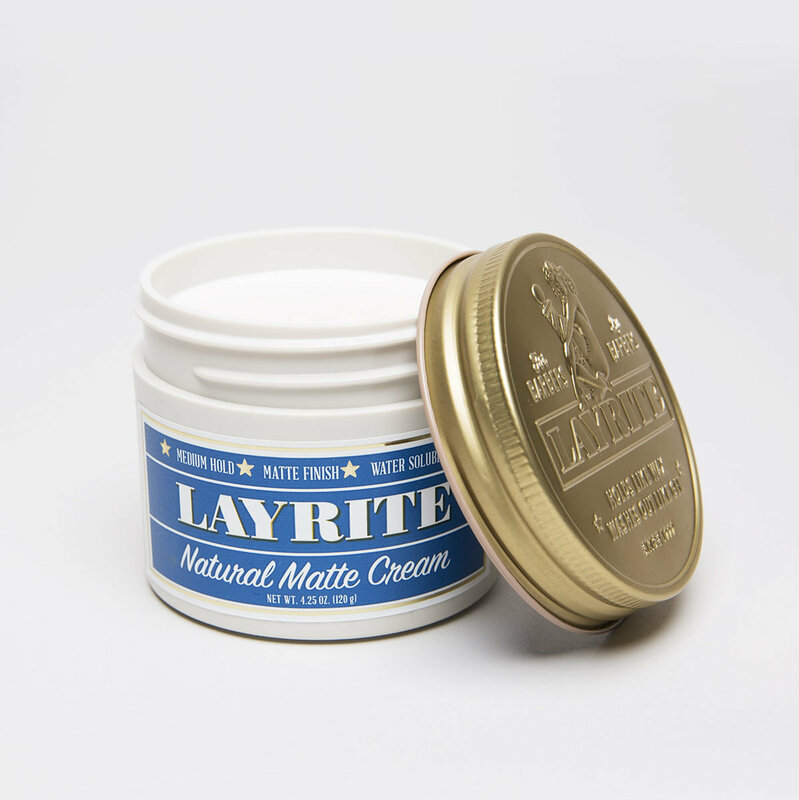 For more control and firmer finish, apply Layrite Natural Matte in dry hair. Natural Matte is extremely versatile. Work your fingers through your hair for a more natural look or use a comb for a neater, more defined look.